I am such a sop when it comes to kids and Christmas and Easter. I love and I mean LOVE making little gifts for my boys to give to their friends at school. The problem is I am generally such a sop and end up making a gift for everyone in their whole year because I hate the thought of anyone missing out. Now times that by 3 kids now so 3 years at school and that is a lot of late nights going cross-eyed making little gifts. I was seriously short on time this year because of a certain little guys birthday party preparation so I pulled the reigns in a little. I gave the older two boys some bags of chocolate eggs to take to school to share with their classmates and they were more than happy with that arrangement. But with my youngest son's little Kindergarten friends, well just looking at their adorable little faces totally does me in every time and I just couldn't help myself. 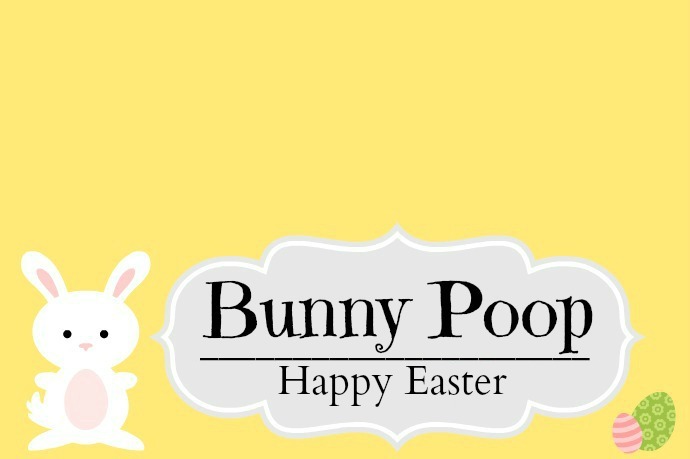 And so that is why I found myself sitting up until late last night packing up 30 bags of Bunny poop for everyone in his class. 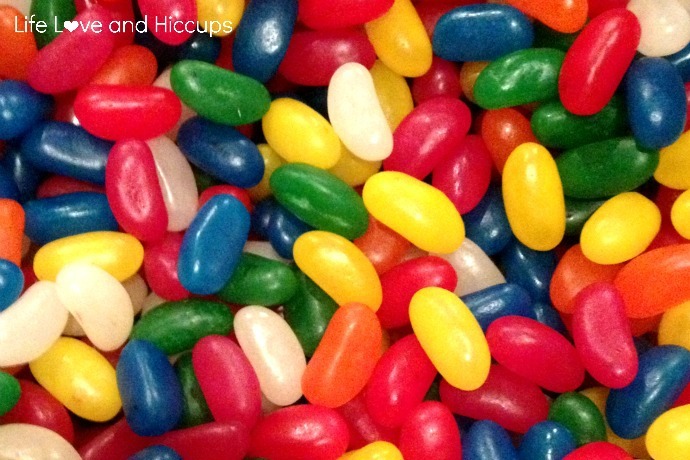 Actually it really want hard at all because all I did was make some labels in PicMonkey (of course) and filled some little Snap lock bags up with Jelly Beans... 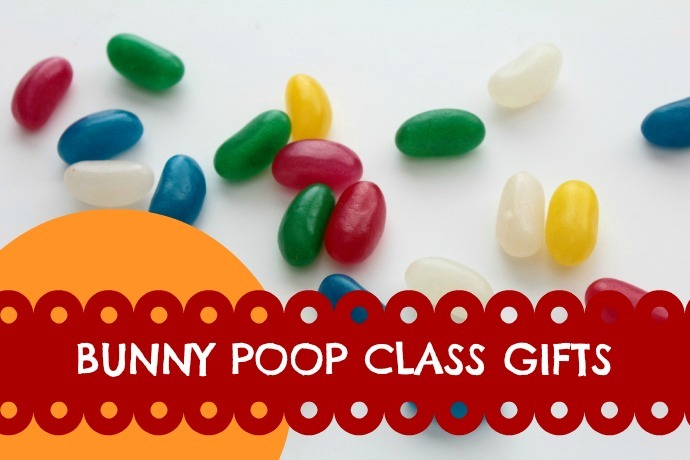 I mean brightly coloured bunny poop. Walah! 30 little bags of Easter treats for 30 seriously cute little munchkins. After I posted the picture on Facebook and instagram I was asked by some of you if I would mind sharing the labels I made and of course I am only too happy to oblige. I have removed the personal message from Flynn and just changed it to a generic Happy Easter Message. You can download the file here or by clicking on the image below. Simply cut the templates out and they are sized to fit the little mini 15cm x 9cm Snap lock bags you get from the grocery store. 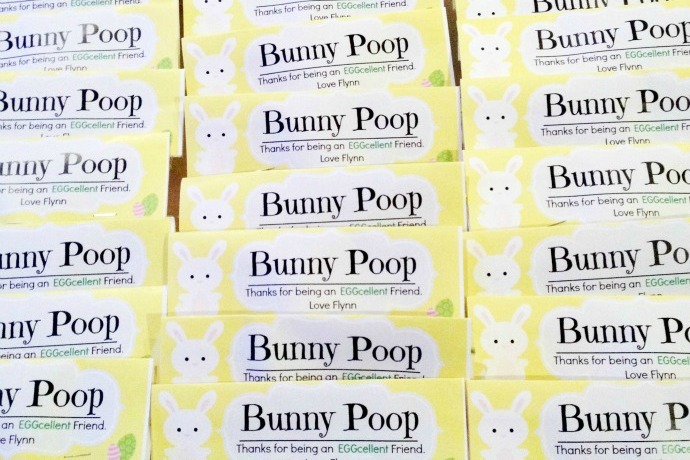 So there you go, a little pack of magical Easter bunny poop - a perfect gift for classmates or friends or as little surprises for your own kids on Easter morning.